While we’re still early in Season 4 of The Flash, it appears that the creative team is already mapping things out for the fifth season. 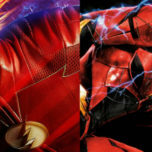 Filmmaker Kevin Smith, who has directed several episodes of the series, recently revealed this information in a tweet about having met with showrunner Andrew Kreisberg. Smith shared that he was told the story of The Flash Season 5, and that he got extra excited for it. It’s hard to imagine what Season 5 could be about when we’re still so early in the fourth season. To be clear though, while the team may have their story worked out for Season 5, that doesn’t mean The CW has renewed the show yet. That will most likely come in mid-spring 2018, as that’s when The CW usually makes its renewals. Smith, whose upcoming Supergirl episode is set to air next week, will be back to direct an episode of Season 4 sometime early next year. What do you think the big story for Season 5 could be? Sound off in the comments below. 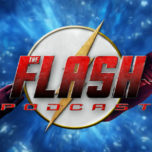 Be sure to listen to the latest episode of the podcast where we discuss episode 4 “Elongated Journey Into Night” featuring the debut of Hartley Sawyer’s Ralph Dibny! KATEE SACKHOFF (“BATTLESTAR GALACTICA”) AND EMILY BETT RICKARDS (“ARROW”) GUEST STAR — Having received an ominous threat from her old boss, Amunet (guest star Katee Sackhoff), Caitlin (Danielle Panabaker) fears that her past time as Killer Frost may be back to haunt her. Felicity (guest star Emily Bett Rickards) comes to Central City to help the girls celebrate Iris’s (Candice Patton) bachelorette party, while Cisco (Carlos Valdes), Joe (Jesse L. Martin) and the guys take Barry out for a night on the town. Laura Belsey directed the episode written by Lauren Certo & Kristen Kim (#405). Original airdate 11/7/2017. The Flash Season 4 airs Tuesday nights at 8/7c on The CW! Excited to see a female-centric episode? Let us know in the comments below!